LOS ANGELES — USC Interim President Wanda Austin did not comment on Athletic Director Lynn Swann's job performance in her first interview with USC Annenberg Media, instead she said USC is "doing a complete investigation around athletics." Austin said university alumni implicated in the scheme will be placed under review, but the focus will remain on current students involved in the scandal. Austin's Tuesday interview with reporter Luke Scorziell follows a speech last Friday at the USC Women's Conference in Washington, DC, in which she did not address the scandal. In her Tuesday interview with reporter Luke Scorziell, Austin spoke on the scandal for the first time outside of official messages from the President's Office. Luke Scorziell: There has been a sad succession of scandals over the last few years at USC and many people around campus are saying something is wrong with the culture here on campus. What do you think it is about the culture and climate at one university that is allowing so many various scandals to happen? Wanda Austin: I would say that this is a large community and that we have been talking about the need for our culture to reflect our values since I came here in August. That has been my sole focus. It is to start the Presidential Culture Commission so that we have the voices from across our two campuses talking about what are the changes that we need. We put the Office of Professionalism and Ethics in place, and its sole purpose is to tell people to trust us that if they see something that they think is inappropriate, to let us know so that we can go and investigate, and, if appropriate, to make the corrective changes. We've added two ombuds — one on each campus. We increased our mental health support. We're just having more discussions about our culture and climate and how we treat people and how we talk about difficult things. But I think the most important piece of all of this is to emphasize the opportunity to trust that our systems will address concerns if they are raised, and that's what we've been focused on. Luke Scorziell: Have the systems that we've implemented so far been able to actually address problems at the university? Wanda Austin: They absolutely have. We have addressed all the issues that have been raised whether it's by a hotline, or people make a complaint, or just even ask a question about why something is going on in an area that maybe they don't understand. Some of it is hard to report out on because it's private information, but the fact is that every complaint that we receive, every call that I get here in my office, we follow up on and get to the bottom of it. And, to the extent that we're able, we get back to the person that made the complaint to let them know what the progress is. So, the Office of Professionalism and Ethics — we've hired additional people for investigation and in addition we've hired Stacy Giwa, who is our VP for Compliance. And these are all great steps to making sure that we have the support in the staff that we need to help our faculty, staff and, students. Luke Scorziell: And obviously this scandal has had a huge effect on campus climate. What concrete actions do you recommend that the university take to get back on track? Wanda Austin: The first thing that we have to do is conduct an investigation and review our own data that we have regarding admission. Obviously, when the indictments were unsealed last week, we had sufficient information to make some decisions immediately. So, I made the decision that the two staff members who were identified as being directly involved in the scheme to defraud our admissions process were fired because that is not representative of our ethical standard. These were two individuals that were in critical positions. They were in positions that we trusted them to do the right thing and they demonstrated that they were in fact not deserving of that trust. Luke Scorziell: And what is the university doing about it in many cases of students who are not only in the university right now but have also graduated from the university who are part of the scheme? Wanda Austin: To start with the current applicants in the current cycle we addressed that by saying that they will not be admitted into USC. 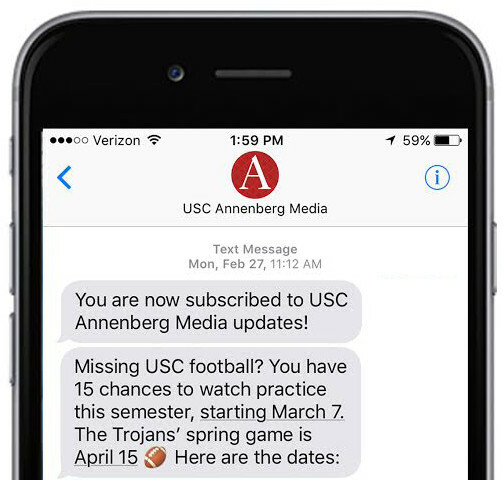 Students who are currently enrolled at USC — we announced publicly yesterday, I believe, that there would be a case-by-case review with the students who may be associated with the alleged admissions scheme and that all of those students have in fact already been notified that their status is under review. And then once the review is complete, we will take the proper action relative to their involvement or connection with the fraudulent admissions scheme. Luke Scorziell: We know you're addressing those students who are currently here on campus. But what about students who've already graduated from the University? Wanda Austin: Those students will also be reviewed and have their status and the status of their graduation status reviewed, but our priority will be with the students who are currently enrolled. Luke Scorziell: The university will soon announce a new president. How will you help ensure a smooth transition to that new president in the midst of this scandal? 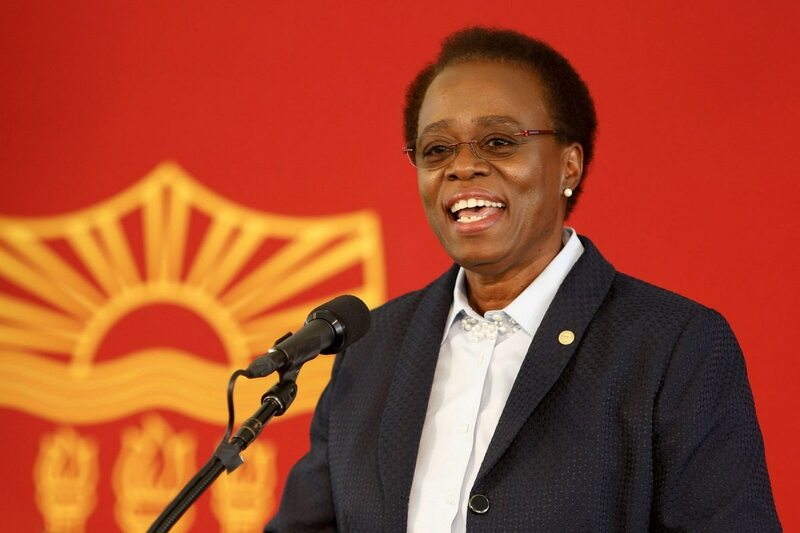 Wanda Austin: I will ensure a smooth transition with the new president by working closely with them to make sure that they are fully briefed and aware of all of the facts around the investigations that are currently underway. I will certainly seek their input on things that are still to be determined and actions that will be taken. But my commitment to the board is that I will certainly help to ensure an orderly and smooth transition with the next president. Luke Scorziell: And two final questions, everyday calls are growing for Athletic Director Lynn Swann to resign. Do you have any thoughts on his job performance? Wanda Austin: My comments would be that we certainly are doing a complete investigation around athletics because of the admission scandal and concern. After we complete that review and find out the facts of who knew what and/or who should have known what, that obviously will be something that will be reviewed with the board. Luke Scorziell: Do you have a final message for students, faculty, alumni and parents who feel unsettled at USC? Wanda Austin: My comment would be that I share your disappointment and concern. This is a very tough thing to hear that someone that you've trusted has violated that trust. But I would also say that I have confidence in our admissions process. We will obviously take steps to validate that process and to strengthen it to make sure that we have internal controls that prevent someone from abusing that process. I would also say to the students who were here that you earned the right to be at USC and to gain the full advantage of your educational experience here and that it's important that you fully have that experience. We're committed to making sure that the students do have the full academic and cultural experience at USC that they deserve. Luke Scorziell: I've been speaking to USC Interim President Wanda Austin. Wanda, thank you so much for speaking with Annenberg Media. We truly appreciate your time. Wanda Austin: Thank you very much Luke. Pleasure to chat with you. Luke Scorziell: For Annenberg Media. I'm Luke Scorziell.